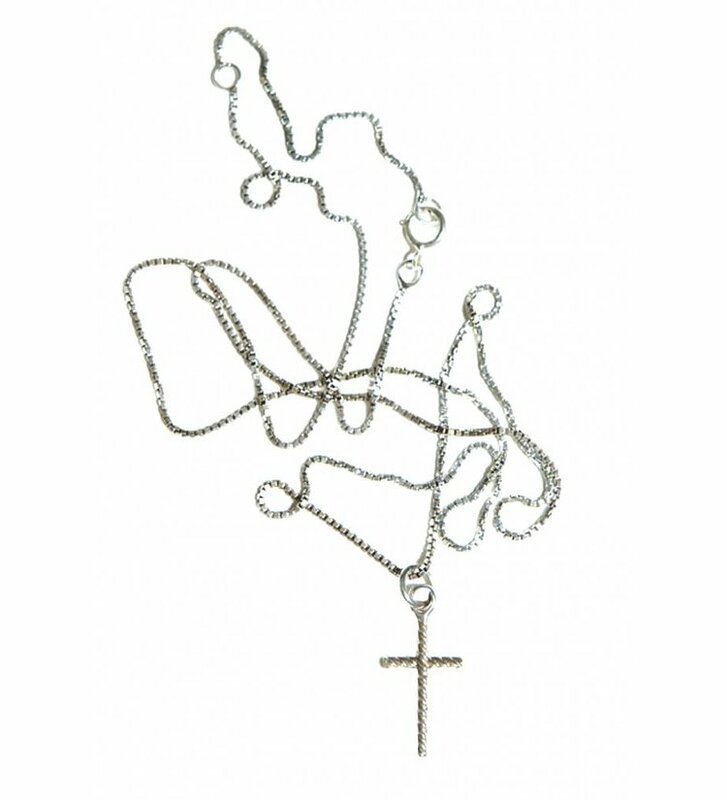 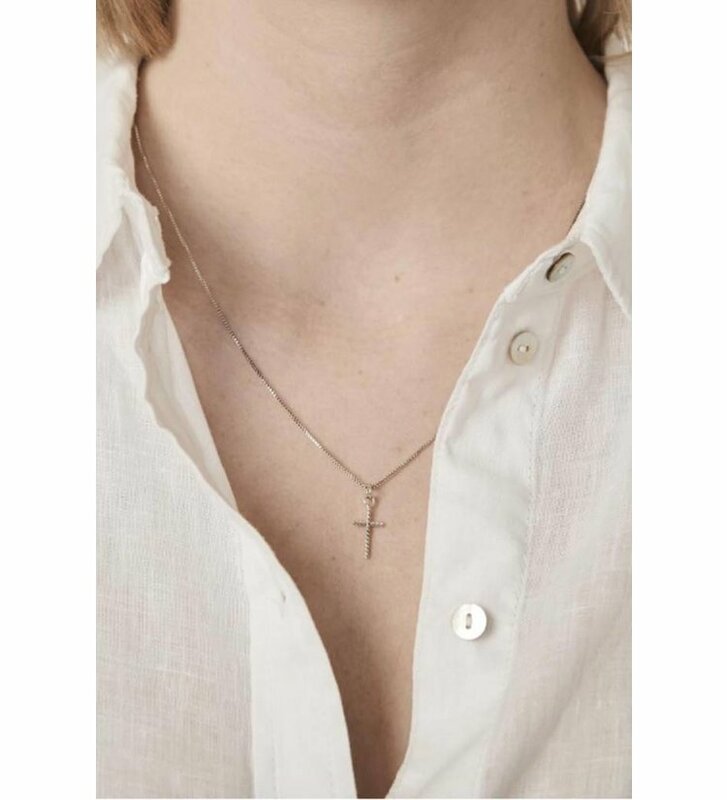 Necklace with pendant Oblique Cross Necklace Sterling Silver from Fashionology. 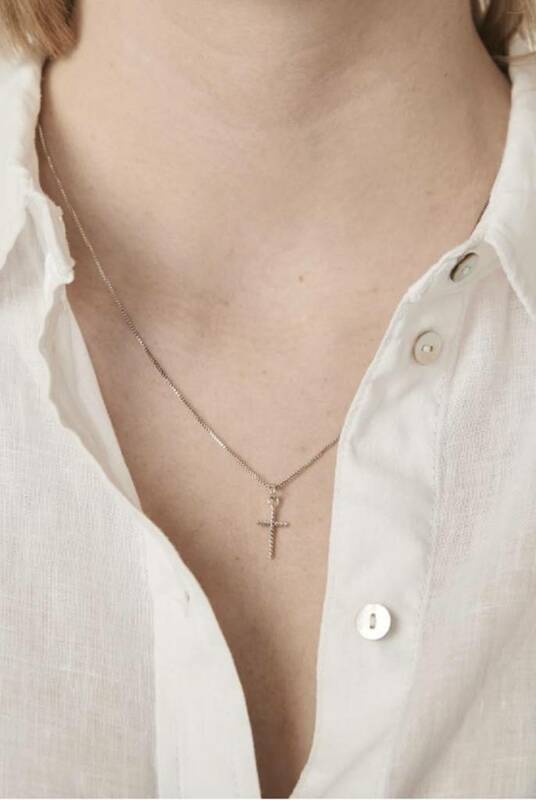 The necklace has a cross shaped pendant. 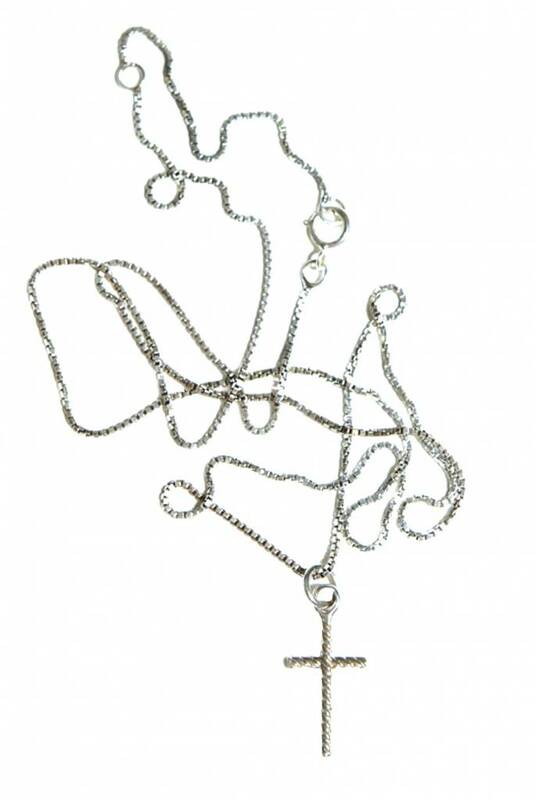 The cross is detailed and has a twisted effect. 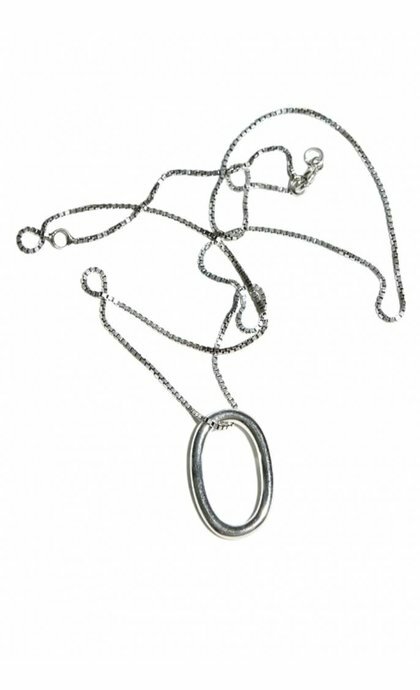 The necklace has square shakles and is adjustable in length.